Shaving is important, but learning to shave properly isn’t the end game. There are many different details that you have to consider when you’re looking to be well groomed. That’s right; we’re talking about nose hair, ear hair, fingernails, toenails, etc. Listen, we’re not saying you have to go out and get a manicure or pedicure, but you do have to pay attention to the details. Nose hair: I see way too many guys neglecting the nose hair. And frankly, it’s just not going to work; people notice. There are a few different ways you can take care of it. We’ll get into that in a little bit. Ear hair: Most guys don’t have too much of an issue with ear hair. However, the ones who do have really need to stay on top of it. This can include ear hair inside the ear and on the ear lobes. Fingernails: A lot of guys have different ideas of what the nails should look like. However, long nails are never the correct answer. A handshake is one of the most sacred gestures of the modern man. If you go in for a shake, and you’re sporting tiger claws, that is going to make a negative impression. You want short, smooth fingernails, showing a minimal white coloring of the fingernail tips. Toenails: We tend to neglect the toenails. I don’t think about them often until they are cutting our socks (gross). They shouldn’t be neglected though. Having longer toenails will increase your chances of foot fungus and injury. Plus they are gross and uncomfortable. Eyebrows: We aren’t going to recommend that you get your eyebrows waxed. Maybe you don’t need to do anything with them. Some guys are just blessed with manageable eyebrows. However, most of us will require a little maintenance here and there. We want to keep them short, manageable and no hint of a uni-brow. Sideburns & neckline: We all can’t afford to get haircuts every week or maybe even every two weeks. However, we can make sure we are cleaned up in between cuts. You might need a spotter for this, but making sure your neckline is clean is absolutely crucial, if it’s not, it just looks tacky. Nose hair: I tend to use a well made pair of scissors. These work best for me. I know some guys who use tweezers; I wouldn’t recommend that. Using tweezers tend to leave blisters. Anyone who has had a blister in their nose knows how incredibly uncomfortable that it can be. The best way for someone who is inexperienced to trim their nose hair is with a nose trimmer. You can get them for a reasonable price, they are easy to use and painless. Please take the time to clean this up weekly! Ear hair: The best way to take care of the hair inside the ear is with a trimmer similar to the nose trimmer. Something that can easily fit inside the ear without causing damage or discomfort. You can also use a smaller trimmer to take care of the hair on the lobes. In short, people notice ear hair whether it’s inside or on your lobes, don’t neglect it. Fingernails: Invest in a good, high-quality pair of fingernail clippers. Start with the edge and work your way around the tip. Some people choose to leave a little bit of white. If you cut too low, it will hurt your skin. I choose to cut pretty low, then I take a file and curve out the rest. The days of taking care of your nails being considered a feminine trait are gone. This is crucial! Do not neglect it. Toenails: Toenails do not grow as quickly as fingernails, you don’t have to clip them as often, but you should. Toenails are very easy to forget about. Delegate time per week to have a look at them and just trim them up. Don’t be afraid to get physical with the toenails. You can dig, pull, grout as needed. Fungus can easily grow there, and it takes an active caregiver to fight it. Eyebrows: Eyebrows are tricky. It’s very easy to mess them up, but who wants to pay for professional waxing services? Take a good set of tweezers and take out any hair growing in the middle. Destroying the uni-brow is first priority. After that, it’s all about shaping. My eyebrows don’t grow too wild, so I can just focus on pulling excess hair when needed. If you have very bushy eyebrows, however, consider isolating the longer hair with a comb and running an trimmer over them. This will take the eyebrows down to a more manageable length. Sideburns & neckline: It’s always a good idea to invest in a trimmer than can cut short. This will require you to invest in a trimmer than operates at a higher frequency. About once a week, in between haircuts, line up your neckline where it starts to get fuzzy. This will keep you clean looking even when you haven’t got your hair cut for a few weeks. Same with your sideburns. The same trimmer will work for both. regardless of how long you keep your sideburns, decide on a length and make sure it is lined up often. I like to dedicate one day a week where I do all of my grooming. For me, Sunday is the perfect day. That way, I’ll go into the next week looking exceptionally clean. I put towels around my bathroom and just go nuts. I take care of all of my manscaping, toes, nails, wild hairs, etc. Most of these details only need treatment about once a week. So when you’re preparing for the week, throw this treatment in as well. Some things may require more attention. I tend to clean my ears about every day or every other day. When I am cleaning them, I just take a second to stay on top of the ear hair. Also, when I get a haircut, I ask the barber to pay special attention to the areas surrounding my neck; I want the clean up to be as minimal as possible. Since I can’t see back there very well, I like to make sure the barber is doing an extraordinary job, which will serve me well later on in the week. Finally, I make sure even though I save the bulk of the grooming for Sunday, I still monitor the progression of my hair growth and nail growth through the week. Sometimes, unexpectedly, wild hairs will pop up, and you need to eliminate them. Just because you’re waiting for Sunday, doesn’t mean you should put it out of mind for the week. It’s all about being aware. I fear that most guys who go through life with wild hairs sticking out, long fingernails, etc. just aren’t aware, and/or they don’t pay attention to detail. Paying attention to detail is always going to be a good thing, let your appearance portray that. The days of grooming the details being a feminine trait are dead. The modern man takes care of himself, makes sure he looks good, and he is well groomed. 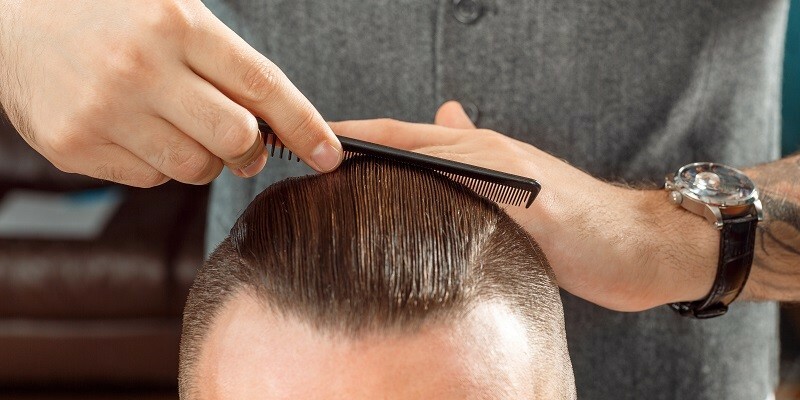 To be completely well groomed, you have to pay attention to the details. Not to say that ruggedness doesn’t serve a purpose. However, there is a difference between being rugged and being just plain sloppy. Even when you decide to grow out the burly beard, make sure you are keeping it trimmed nicely, make sure you are staying on top of the other details. Just because you’re growing out a beard, doesn’t mean you should neglect your uni-brow, for example. Lastly, no excuses. Do what needs to be done and look good for your job or your significant other.